Stainless steel adjustable height frame is 64” wide (load side) x 54 deep x 81” high (±12”). Unit has a 3,000# capacity. Stainless steel fill head with 8” diameter inlet stub to mate with customer’s existing in-feed system. Bag hanger system features stainless steel hooks which can be quickly adjusted to fit a wide range of bulk bag footprints. 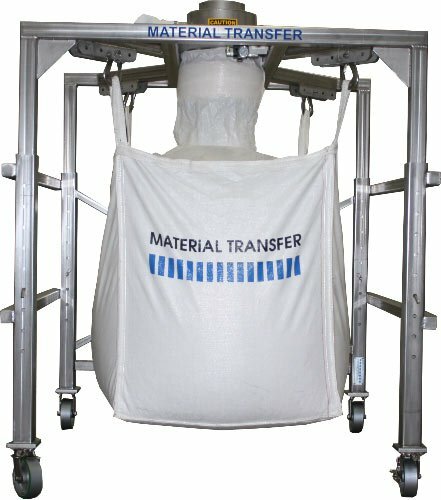 Caster portable design allows bulk bag filling in multiple locations.